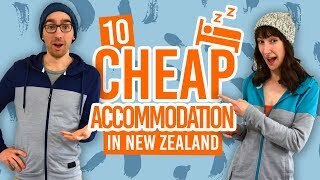 Lots of backpackers decide to travel by car around New Zealand. With so many sights to see along the highways, as well as the off the beaten track destinations only accessed by having your own set of wheels, we can see why so many travellers prefer to buy their own car to travel New Zealand. After all, the New Zealand road trip is one of the best in the world! 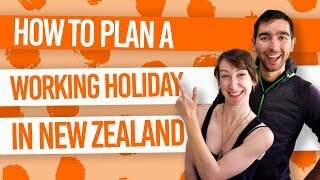 To save some money on rental, it is very common for working holidaymakers to buy a second-hand/used car, travel around New Zealand, and sell it afterwards with buyback sellers like Travel Cars in Auckland. However, the buying process can be a bit of a drag. Luckily we have done our best to make it “easy as” for you. Just follow the guide below! It is critical to spend a good amount of time checking the ins and outs of the car that you are considering buying. After all, it will need to sustain a road trip around the country. Check our full car inspection guide. Nobody should ever buy a car without testing it, ever! Try to drive it fast, slow, uphill and downhill. For more tips on what to look for when test driving a car, check out our full pre-purchase test drive guide. Not the most exciting part of your road trip but surely one of the most important. You will have to run a credit check on your car and make sure that all paperwork is in order. To clear the fog around this complicated process we have made a complete guide about the car-buying paperwork. 5. Road trip in the best country of the world! Use our website to find the best hidden gems of the country and enjoy your road trip to the max! Can you drive in New Zealand? Remember, you need a valid driver licence to legally drive in New Zealand. It must be in the English language or be an international driver licence. Check out more details in our article How to Drive in New Zealand. After 12 months of being in New Zealand, you’ll need to convert your licence to a New Zealand driver licence, unless you leave the country and return within those 12 months. Then you will be able to drive with your English language driver licence for a further 12 months.